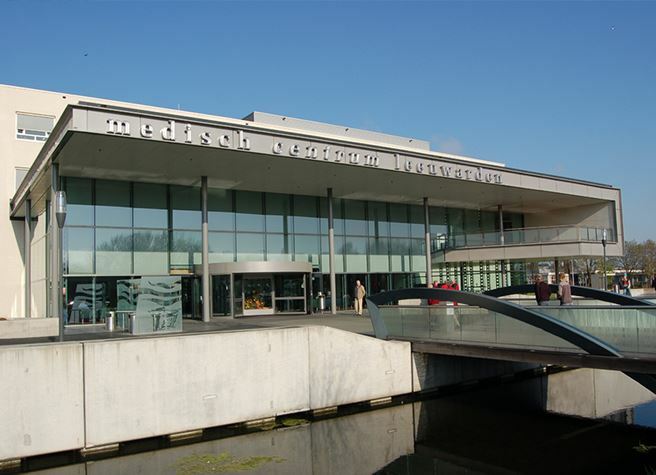 Medical Center Leeuwarden (MCL) is a top-clinical hospital for acute, complex and basic healthcare in the Dutch province Friesland. MCL had a lack of treatment rooms and space in the past, causing longer waiting times in too small waiting rooms. The extension of the Emergency Department (ED) filled up the need for more space. MCL has now the largest ED of the northern part of The Netherlands. The new ED provides treatment possibilities for patients with very complex to basic health issues. 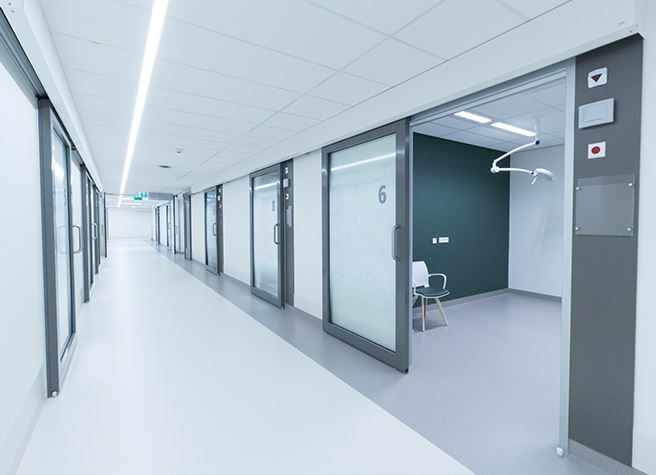 To provide acute healthcare, MCL furnished four large emergency rooms nearby the ambulance entrance. 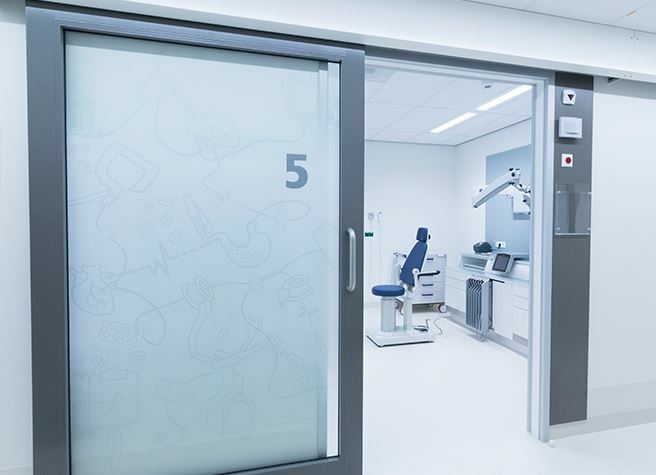 One of these emergency rooms is furnished with X-Ray equipment, even as the X-Ray room. 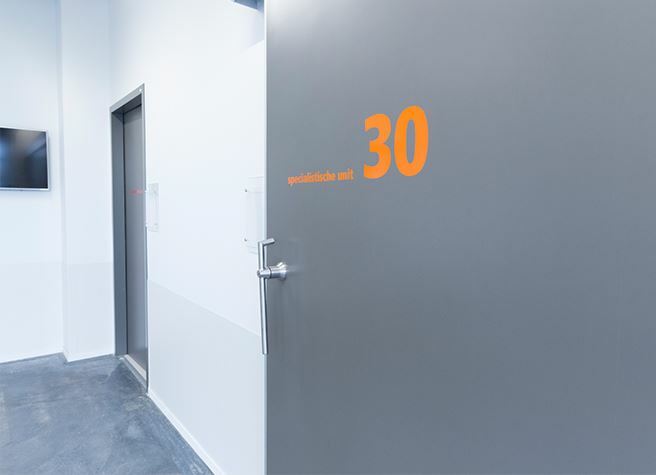 The ED finally has 28 relatively small treatment rooms to provide basic care. 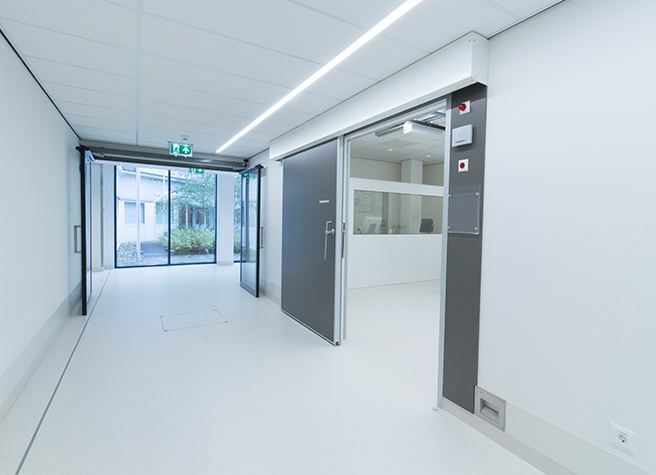 The two rooms with X-Ray equipment are closed with automatic doors. These doors need to have a substantial amount of lead to protect against radiation; this makes the doors heavier to use. 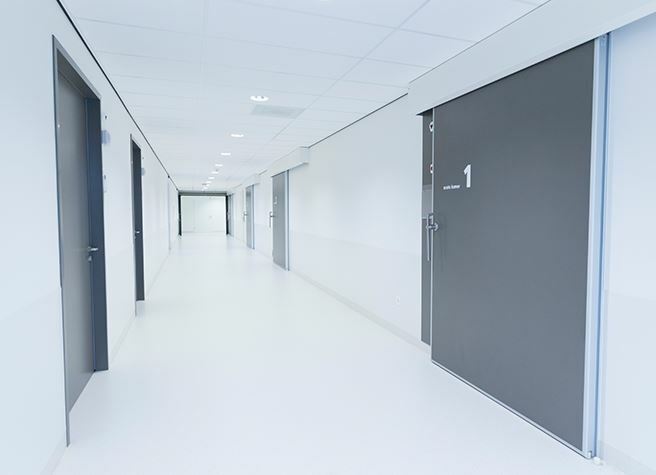 These doors are fire rated doors as well, because they are placed in a fire barrier. 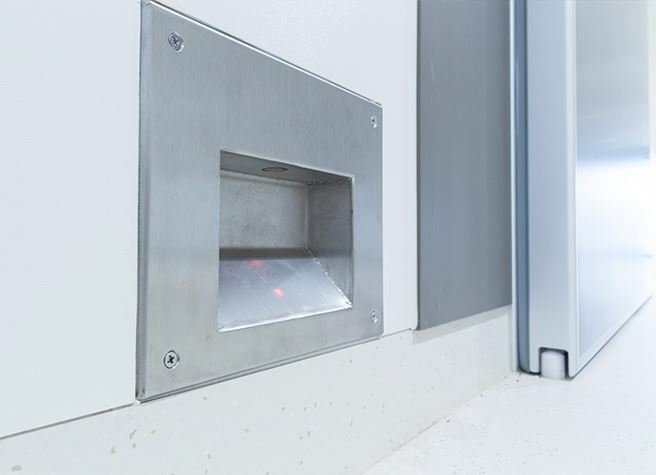 The automation ensures good usability of the door and closes the door in case of fire. 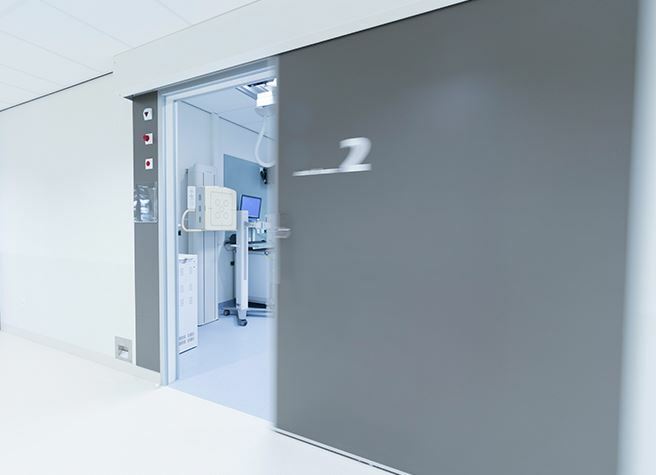 The door can be operated manually as well with the hermetical opener in case of emergency. 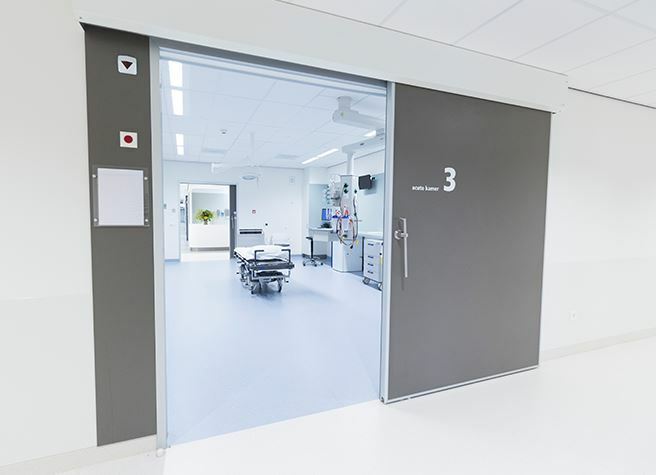 MCL chose to operate all other doors manually. 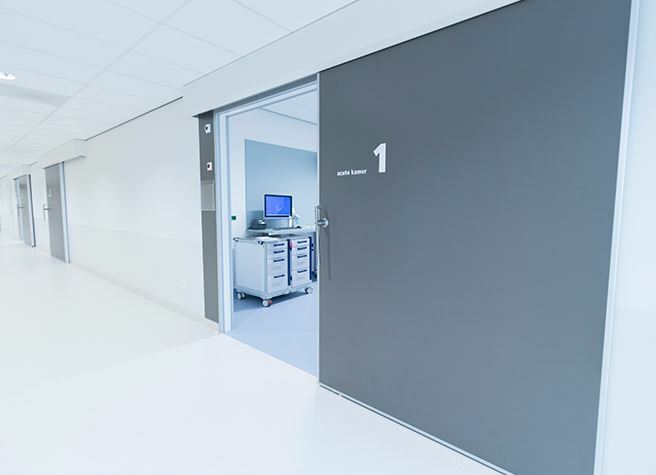 In case a door has a defect, a fast and adequate reaction is necessary. MCL works with mechanics who can fix most of the first line breakdowns without any help. The repair of other more complex malfunctions and the maintenance will be done by ASSA ABLOY Entrance Systems. 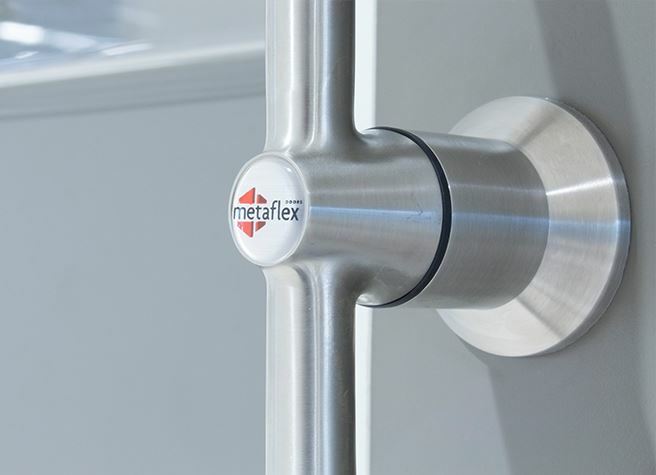 The mechanics of ASSA ABLOY Entrance Systems are trained by Metaflex to repair and maintain Metaflex doors. All information about the malfunction can be analyzed quickly by a computer, hereafter the mechanic exactly knows how to repair the door system.